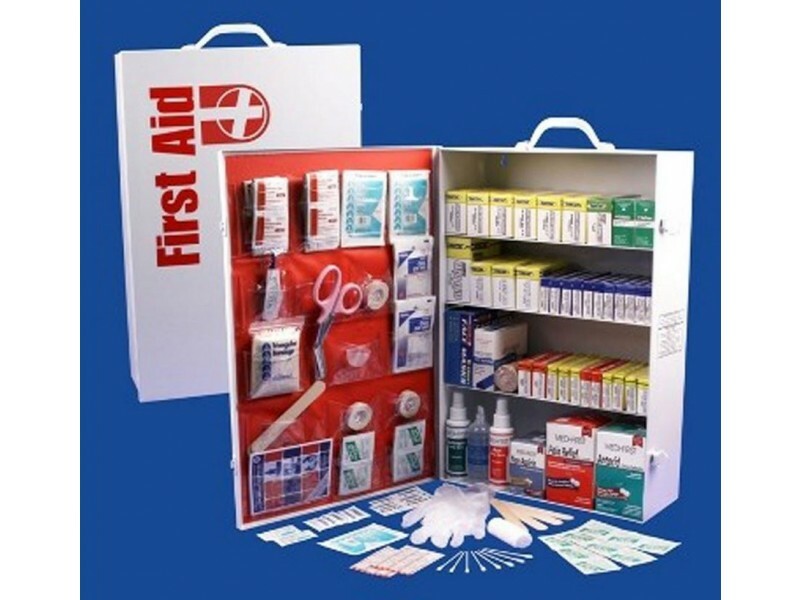 The 4 Shelf First Aid Cabinet Kit Services Over 250 People! 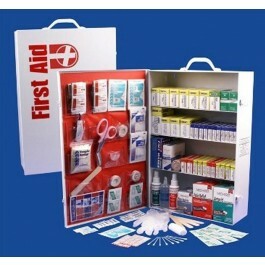 This 4 Shelf First Aid Cabinet is the most complete kit for the home, office, school or business. This complete kit keeps you prepared for emergencies with a variety of high quality first aid products. 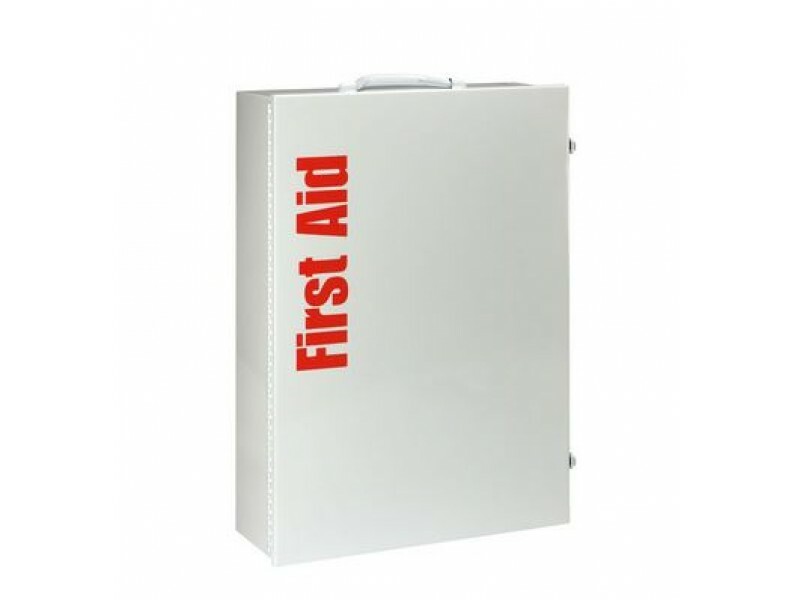 You can't go wrong with such a large selection of 1,322 Pieces of Quality First Aid Items. This kit includes items like Eye Treatment w/Eye Wash and Eye Cup, Detectable Bandages, Filtration Masks and Hand Sensitization among many other items.